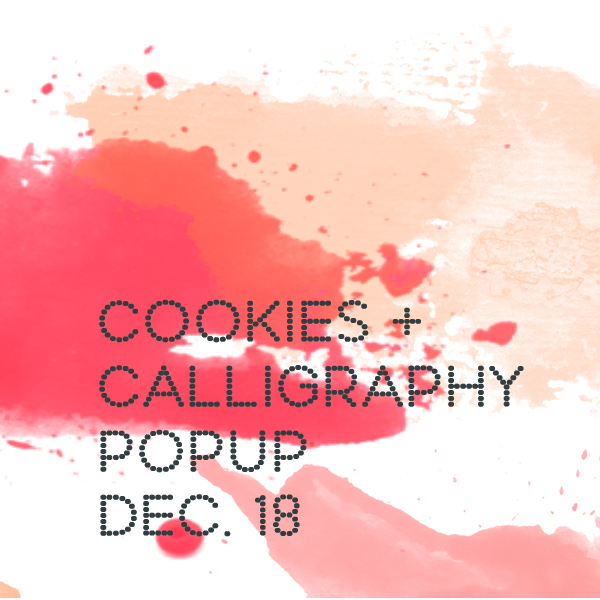 Nothing goes together quite as well as calligraphy and cookies, right? Come get a fresh baked sweet treat while you're having a holiday card personalized live. Austin bakery Patika will be selling a selection of specially made yummy treats while local calligraphy artist Celeste King will be in studio personalizing holiday cards on the spot! Don't want to forget? Join the Facebook event!